Featuring Los Cariques del Caribe. Sunday, May 26, 3-6 pm on the Central Green. A music talk from the ultimate insider - VG's own Betto Arcos. Saturday, May 4 at 4pm in the Clubhouse. Hosted by the Cultural Affairs committee. Saturday, March 23 3800 Crenshaw Blvd, with lines starting at Bronson and Coliseum. Drop off all hazardous waste, including electronics, sharps, medications and more. View or download the agenda for the February Board of Directors meeting by clicking on the link below. Board meetings are 4th Tuesday of every month at 7pm. 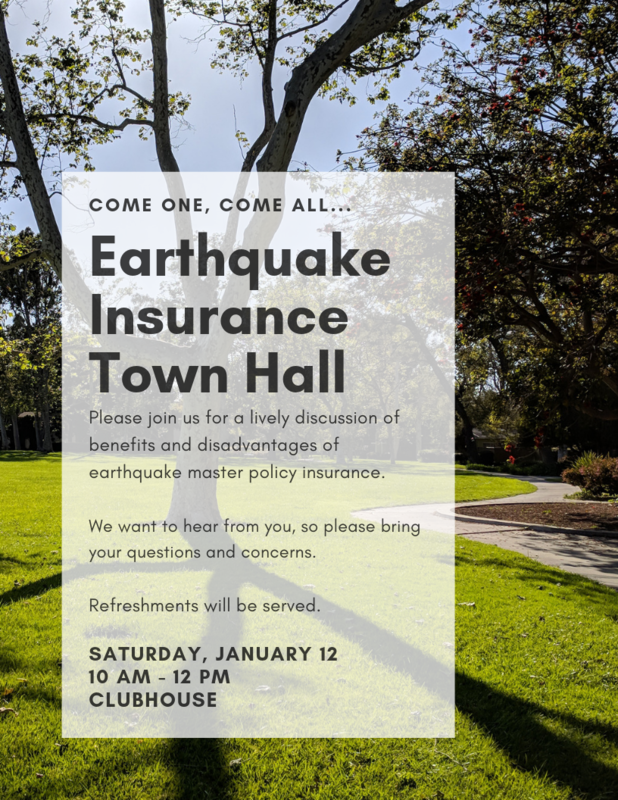 There will be a special board meeting this coming Tuesday regarding budget, earthquake insurance and flood insurance. Come to the Village Green Annual Meeting! This year the focus is on resident feedback and contributions. 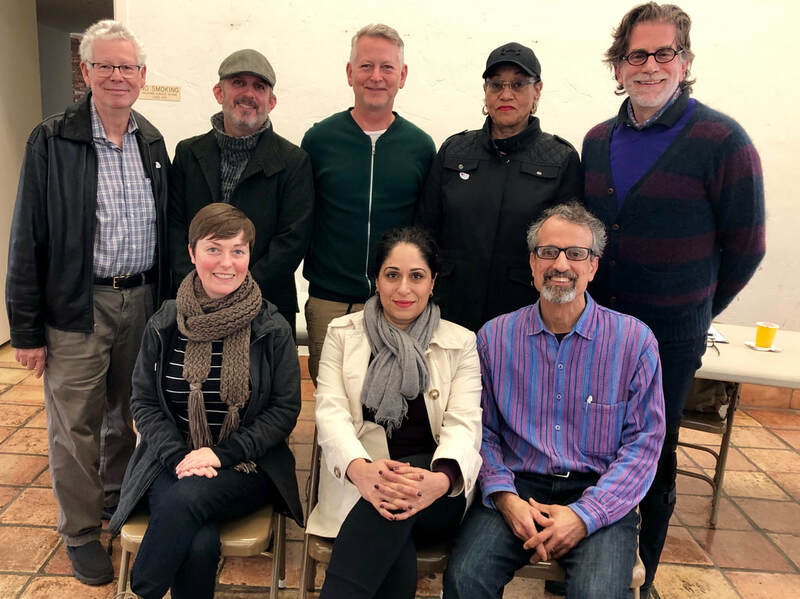 Ask the Board, Management and Committees questions and let's address the collective challenges in our Association, neighborhood and beyond through "community" and "sustainability"! 25% of VGOA members need to be present or represented by ballot for meeting to convene. Attend one or both events to hear how each candidate stands on the issues and interprets the responsibilities of a director. See below for important dates for the upcoming Annual Meeting and VGOA Board Elections. Monday, Dec. 10: Submit all board nominations to the VG Office by 4:30 pm. Sunday, Dec. 16: Pay any unpaid dues or assessments to be able to vote in the 2019 elections. Thursday, Dec. 27: Submit candidate statements to the VG Office for inclusion in the Ballot package - due by 11:55 am. Wednesday, Jan. 2: Ballot packages with candidate statements and "Meet the Candidates" flyer distributed. Friday, Feb. 1: Last day to turn in ballots to the office. Deadline is 5:00 pm. 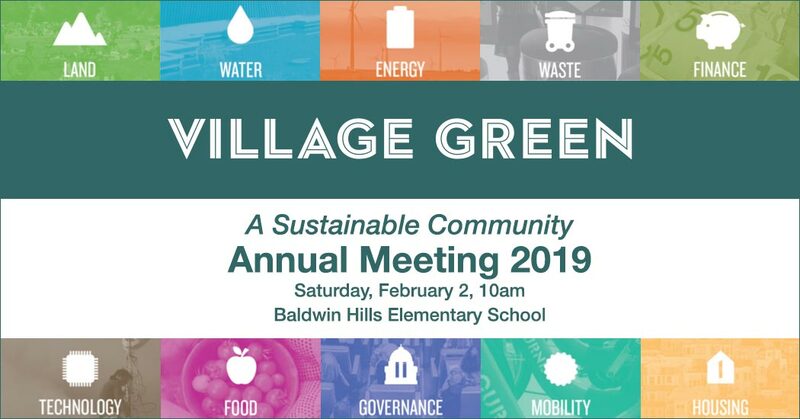 Saturday, Feb. 2: VGOA Annual Meeting, 10:00 am, Baldwin Hills Elementary. View or download agenda for December Village Green Board meeting. Join neighbors for an evening of food, fun and festivities as we send wishes for peace on earth and good will to all this holiday season. BYOB and/or your favorite holiday fare. We will be collecting monetary donations for California fire victims. Sponsored by the Cultural Affairs Committee. View or download the Agenda for the November Board of Directors meeting by clicking on the link below. Please join the Budget and Finance Committee for a kid-friendly event. Enjoy snacks and beverages while BFC members engage with the community about the finances of Village Green. Have questions? Happy to answer! There is a special board meeting to review the 2019 operating budget this Wednesday, November 7 starting at 7pm in the Clubhouse. Click on the agenda below to view or download. View or download the Agenda for the October Board of Directors meeting by clicking on the link below. (BYOP) Bring your own carved or decorated pumpkin for a contest. Games, crafts, face painting, storytelling, snacks. Meet at dusk by the coral tree on the Central Green for some spooky story telling. For the first time, the Clubhouse will also be open on Halloween for socializing, refreshments, and trick-or-treaters! Bring a plant! Take a plant! Come and meet your neighbors. The Village Green Plant swap will be Sunday, October 21 from 2-4pm on the Main Green under the Big Oak. View or download the Agenda for the August Board of Directors meeting by clicking on the link below.